BlackBerry working on PlayBook BB10 upgrade | BlackBerry Blast! BlackBerry 10 is off to a decent start, but what about a tablet version? 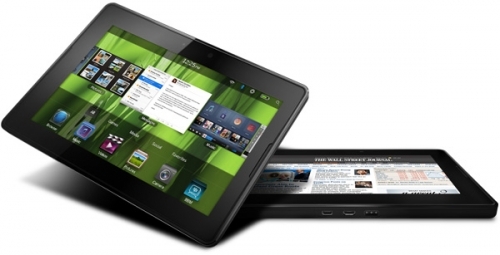 According to BlackBerry CEO Thorsten Heins, the company is currently working on an upgrade for the PlayBook. While addressing a technology conference in Waterloo, Ontario, Mr. Heins confirmed BB10 will come to the PlayBook. �Yes, we have teams working on BB10 for the PlayBook,� CEO Thorsten Heins said while addressing a technology conference near the company�s headquarters in Waterloo, Ontario. He made no mention of a new tablet, but at least PlayBook users will get an upgrade. Hopefully BlackBerry will release a better tablet in the near future.